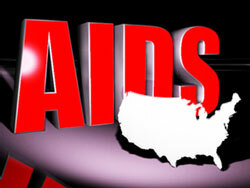 (FinalCall.com) - Every nine-and-a-half minutes, a person in the United States becomes infected with HIV. There are more than one million people living with HIV and Black people account for nearly half of those infected. A recently released study by the Centers for Disease Control and Prevention has added further data supporting warnings by Black HIV/AIDS awareness advocates that this is a “Black disease,” tied in part to economic disparity. High-poverty urban conditions increase one's chances of contracting HIV, according to the study. “The study tells us that when other racial ethnic groups face the same social determinants of health as Blacks—the social and economic conditions within which they live and that impact their well being—their HIV rates rise to similar levels as those of Blacks, even for Whites,” says Phill Wilson, president and CEO of the Black AIDS Institute. “Our community is still in denial about the impact of AIDS on us. We have a whole new generation that needs to be educated on AIDS so we have to stop avoiding the dialogue,” HIV positive activist Rae Lewis-Thornton of Chicago told The Final Call. In low income urban areas included in the study, those living below the poverty line were at greater risk for HIV than those living higher incomes. But the statistical landscape of Blacks contracting AIDS is only getting worse, according to national data posted on the CDC's Web site. While Blacks represent approximately 12 percent of the U.S. population, they account for 46 percent (506,000) of the 1.1 million people living with HIV in the United States, as well as 45 percent (25,335) of the 56,300 new infections every year. Approximately one in 16 Black men will be diagnosed with HIV, as will one in 30 Black women. The rate of new HIV infections for Black men is about six times as high as that of White men, nearly three times that of Hispanic men, and more than twice that of Black women. The HIV incidence rate for Black women is nearly 15 times as high as that of White women, and nearly four times that of Hispanic women. Twenty-four years ago, Ms. Lewis-Thornton received the news that she was HIV positive and today lives with full blown AIDS. “I was dying but I had to make a fundamental decision that I could live with this disease. I searched the type technology and medication that I needed. I also developed a support network spiritually and mentally because nobody should have to live with this disease alone. But we can't forget that this is a preventable disease so that is why I am on a crusade to educate the masses,” says Ms. Lewis-Thornton, 48. The CDC's study, titled “Communities in Crisis: Is There a Generalized HIV Epidemic in Impoverished Urban Areas of the United States,” was unveiled July 19 at the biennial international AIDS Conference in Vienna, Austria. The study was conducted from 2006-2007. Respondents included more than 9,000 adults (aged 18-50) in high-poverty areas of 23 cities such as New York, Houston, Chicago, Detroit and Los Angeles. By race, 77 percent (7,014) of the participants in the study were Black, 15 percent (1,350) were Hispanic, 4 percent (402) were White and 3 percent (307) were other races. Over 4,600 of those survey earned less than $10,000 in annual household income. According to the CDC, the study shows that poverty is the single most important demographic factor associated with HIV infection among inner city residents. “In this country, HIV clearly strikes the economically disadvantaged in a devastating way,” says Kevin Fenton of the CDC in a written statement. “Almost25 percent of Blacks live in poverty, compared to nine percent of Whites. It (the study) also confirms what theBlack AIDS Instituteand many AIDS activists have been saying all along: that a generalized epidemic exists within many Black communities. The HIV rates in U.S. poverty areas rival the rates found in Haiti, Burundi, Ethiopia, and Angola,” says Mr. Wilson, whose Los Angeles-based group has mobilized to confront the epidemic the past 10 years. “Bottom line is when Whites and Latinos live in poor Black communities they are negatively impacted by the same social determinants that undermine the health of their Black neighbors,” says Mr. Wilson. “We can't look at HIV in isolation from the environment in which people live. This analysis points to an urgent need to prioritize HIV prevention efforts in disadvantaged communities,” says Dr. Jonathan Mermin, director of CDC's Division of HIV/AIDS Prevention. On July 13, the Obama Administration released a National HIV/AIDS Strategy Federal Implementation Plan with three primary goals of reducing HIV infections; increasing access to care; and reducing HIV-related health disparities. Ms. Lewis-Thornton has been consistently touring the country to share her up and down personal bout with AIDS. She recently implemented social media platforms to engage uninformed people via blogging, Twitter, and Facebook. “I am a statistic and I want to reach people to let them know they can become one also if they do not take care of their lives,” she says.